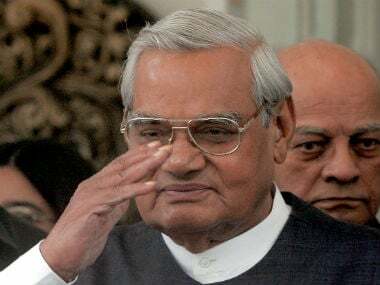 I have many memories of Atal Bihari Vajpayee, but the best one is personal. 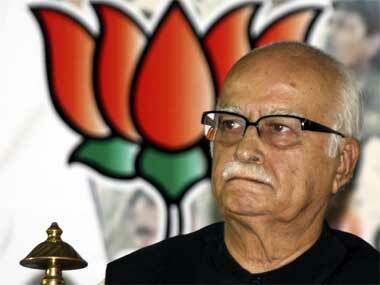 I had gone to meet him at a guest house in Lucknow, where he was the BJP's election candidate in the summer of 1991. While his party's Hindutva plank and Muslim-baiting cadres — on the back of a raucous, shrill movement to build a Ram temple in Ayodhya — were taking it to its highest tally in Lok Sabha, the man himself was sporting a printed, coloured lungi, often associated with Muslims in northern India. Outside, there were those, including Muslims, who told me they liked him because of his friendly role in helping the community in facilitating overseas travel as external affairs minister during the 1977-1979 period as part of the Janata Party government. But he had no illusions. "Muslims will not vote for me," he said, looking wistful, shaking his head vigorously, dangling his legs from the guestroom bed. You could call Vajpayee, who has just passed away aged 93, a soft realist who towered over India during hard times. 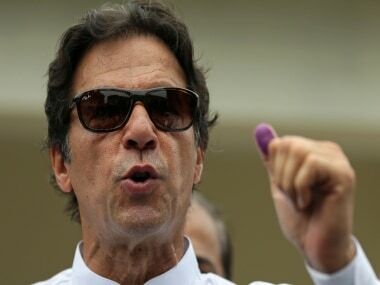 Though technically prime minister for three terms, his real rule was between 1999 and 2004 as head of the first National Democratic Alliance in which his allies included secular hardliners like Tamil Nadu's Muthuvel Karunanidhi of the DMK, who passed away recently, and Mamata Banerjee of the Trinamool Congress. It was his poetic personality, trustworthiness and sheer charm that cemented differences and towered over the ideological moorings of his BJP in the Hindutva ideology. No wonder an RSS hardliner, endorsed by the Left, once called him the BJP's "Mukhauta" (mask) to hide the hardline. But the mask was not a put-on facade but the real face of a man who had grown as a poet and orator enough to see ideology as just a vestige of youthful idealism. His eyes met those of others in trust and affection, not presumption or hypocrisy. No wonder his critics described him as a "right man in the wrong party." 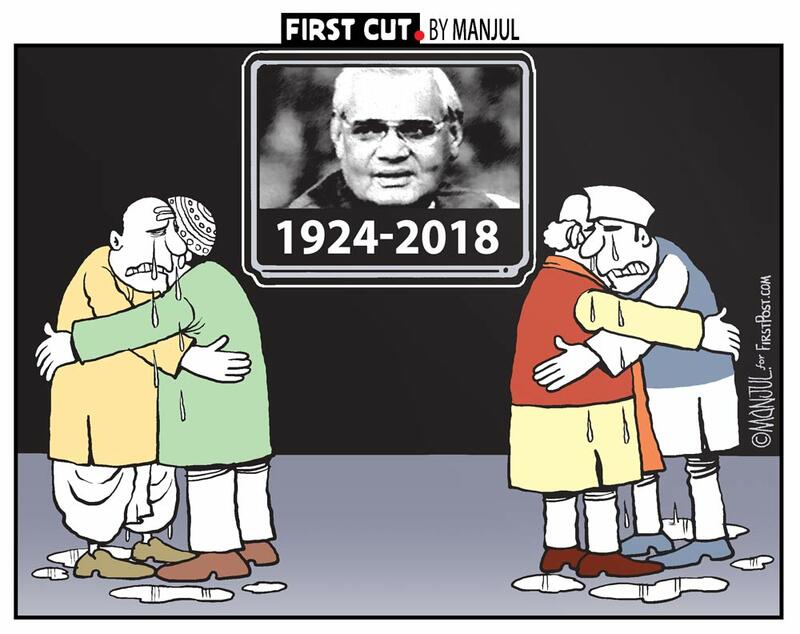 Strange as it might seem, Vajpayee left for Indians fine memories of a period during which the prime minister faced arguably the toughest five years in decades. Within weeks of his assuming office, the AIADMK under Jayalalithaa moved to pull the plug on the NDA coalition. Historians can quibble about whether Vajpayee's decision in that eventful period of May 1998 to conduct nuclear tests and declare India as a nuclear power was to checkmate the Tamil Nadu leader, or assert a grandiose RSS vision, or simply a strategic response to US pressures to join a nuclear test ban treaty. But the economic sanctions the NDA government faced from the US and the tumbling of the rupee as a consequence was as hard as it gets. If nuclear tests turned one challenge into an opportunity, the launch of Millennium Deposits by the State Bank of India to build up foreign exchange reserves was another. More challenges followed. 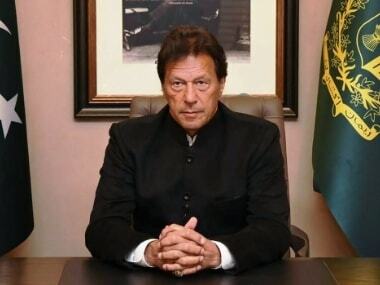 India fought off Pakistani intrusion in Kargil in what many say was the country's fourth war over Kashmir in 1999, but before the year was through, the hijacking of Indian Airlines' IC-814 to Afghanistan, after it took off from Kathmandu, resulted in the release of a dreaded terrorist. However, all but one passenger aboard the flight returned safely to India precisely on new year's eve before the dawn of a new millennium in the year 2000. In January 2001, Gujarat suffered a terrible earthquake and eight months later, the 9/11 attacks took place in New York, throwing up a new global mess to deal with. Months later in February 2002, Gujarat witnessed Hindu-Muslim riots that tarnished the image of the BJP and state chief minister and later prime minister Narendra Modi, but it was Vajpayee who gently ticked off Modi by exhorting him to follow Raj Dharma — a public show of displeasure against any religious discrimination. That also turned out to be a horrible drought year that hurt the economy at a time when it had barely recovered from the after-effects of the 1998 nuclear tests. Yet, there was much happening alongside that made Vajpayee hold his head high. He was at the centre of it all. India's software export boom took a definitive leap forward and his government framed an elaborate policy and created a ministry of information technology to push things forward. Bengaluru-based Infosys listed on the Nasdaq in a milestone for the nation. And the Vajpayee government remains on record as the most successful one in pushing through big-ticket privatisation of public sector companies, aided by the minister for the job, Arun Shourie. The Golden Quadrilateral project to build highways was launched in 2001, and in his poetic style, Vajpayee called the highways India's 'bhagyarekha' (lines of fortune). The line proved good for Vajpayee whose reign ended with an 8 percent GDP growth. 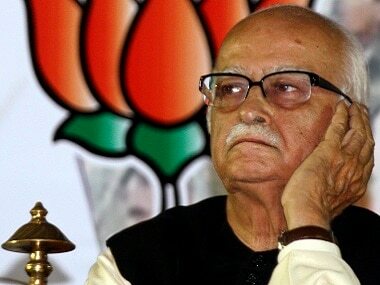 Critics were quick to point out that the "India Shining" plank on which the BJP went to polls in 2004 bombed because the gains of growth had not permeated to rural areas, but there is little doubt that a new telecom policy, a boost to IT, support for farmers, highway projects and the passage of a fiscal responsibility law under Vajpayee's rule deserved enough credit to lay the ground for the high growth in the years that followed until the global financial crisis of 2008. For a man who built highways, the roads were bumpy. For a man who charmed Muslims as much as Hindus, the 2002 riots or the IC-814 hijack were blots. But Vajpayee was hardly a subject of targeted criticism because nearly everybody knew he meant well and took tough decisions when he had to. The wise poet in him helped contain critics, and hopefully, maintain his own sanity in some of India's toughest moments. He could tell difficult truths with disarming candour. After all, this was the never-married man, who when someone described him as a "brahmachari", famously quipped: "Main bachelor hoon, brahmachari nahin (I am a bachelor, not a celibate)."